When her seizures wouldn't ease with traditional treatment, this pioneering patient received rapid genetic testing that changed her 2-day-old life. From the day Sebastiana Manuel was born her tiny body was wracked by seizures. She didn’t eat. She would twist her neck and scream. Her family knew something was wrong but didn’t know exactly what. Doctors at her north county birth hospital also were unable to pinpoint a cause of the seizures. They sent Sebastiana to the neonatal intensive care unit at Rady Children’s Hospital where the mystery deepened. Not only was the cause of her seizures unclear, but traditional antiseizure medicine did not work. “I couldn’t stop crying. I couldn’t do anything except pray,” remembers her mother, Dolores. Doctors tried three different medications, but they did not stop the seizures. Sebastiana was also too sleepy to eat, says Jeffrey Gold, MD, PhD, director of Neonatal Neurology. For any newborn, frequent feedings are critical, and with Sebastiana’s increasingly poor condition, Dr. Gold knew there was no time to lose. Until that point, Sebastiana’s experience had been no different from that of other acutely ill newborns who are transferred to intensive care. The Centers for Disease Control and Prevention estimate that 3 percent of the roughly 11,000 babies born every day in the U.S. have genetic diseases that leave doctors puzzled. Sebastiana was one of those babies. Typically, such cases lead to a gauntlet of tests as doctors and parents search for answers. But Sebastiana was fortunate to be transferred to Rady Children’s, where doctors can access advanced diagnostic technology that offers a shortcut to a precise answer. “If we have a baby who has seizures and no known cause, we refer them for genetic testing,” Dr. Gold says. So, on day two of Sebastiana’s life, a vial of her blood was sent around the corner from the NICU to the Rady Children’s Institute for Genomic Medicine. There, research scientists extracted her DNA and sequenced her entire genome. Just 10 years ago, this procedure could have taken weeks and cost upward of $10 million—but rapid whole genome sequencing zeroed in on Sebastiana’s exact diagnosis in just four days. Ohtahara syndrome with KCNQ2 mutation was causing her seizures; knowing this diagnosis allowed Dr. Gold to make an immediate change in her medication and end sedation so Sebastiana could wake up and eat. “This diagnosis is rare and usually devastating,” says Dr. Gold. “Almost inevitably, it’s associated with developmental delay and severe neurological damage.” About half the children with the syndrome do not reach their second birthday. But Sebastiana is charting a new course. She improved quickly after the adjustment in her medication. Less than three weeks after she was born, she was released from the Hospital. Her parents took her home on Christmas Day, and their extended family gathered for a joyful celebration. Such a positive outcome was unthinkable not long ago. The Rady Children’s Institute for Genomic Medicine began performing rapid whole genome sequencing in July 2016. The year before Sebastiana was born, another baby with seizures was admitted to the NICU. In the absence of genomic sequencing, it took six weeks to reach a diagnosis in the case. The four-day turnaround for Sebastiana’s diagnosis meant she was able to avoid weeks of uncontrolled seizures that could have resulted in brain damage, cerebral palsy or even death. “I don’t know of any other patient who has ever been diagnosed this quickly with this definitive a diagnosis,” says Dr. Gold. Today, rapid whole genome sequencing is available to patients at Rady Children’s as part of a research study led by Stephen Kingsmore, MD, DSc, president and CEO of Rady Children’s Institute for Genomic Medicine. He also holds the Guinness World Record for the fastest genome sequencing leading to diagnosis: 26 hours. The institute’s Clinical Genome Center is staffed by a team of experts including boardcertified medical geneticists, bioinformaticians, software engineers, clinical laboratory scientists and genetic counselors who channel their expertise to provide physicians with a precise diagnosis in as little as four to six days. Since July 2016, Rady Children’s Institute for Genomic Medicine has performed rapid whole genome sequencing for more than 150 families, with acutely ill children enrolled in its research studies. The institute is currently focused on scaling up its process and expanding to neonatal and pediatric intensive care units across the country by forming partnerships with other children’s hospitals. Sebastiana’s parents understand that their daughter is a pioneering patient. Having found new strength, they gladly share her story in hopes of encouraging other families who are facing medical mysteries. Like Dr. Kingsmore, their fondest wish is that one day the revolutionary test she received will be available to all. Patients at Rady Children’s neonatal intensive care unit, pediatric intensive care unit or cardiovascular intensive care unit with an undiagnosed medical condition of suspected genetic origin must be referred by their doctor for genetic testing. 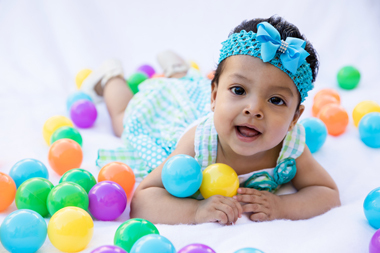 A child must be enrolled in one of Rady Children’s Institute for Genomic Medicine’s research studies or an institute partner study to receive genetic testing. There is no fee charged for genetic sequencing once a child is enrolled. If your child is not a patient at an institute research site, you can contact his or her primary care doctor about clinical genetic testing and research studies in your area. Sequencing can reveal that a child’s illness is not genetically based. In those cases, a diagnosis will not be made. It’s also possible that genetic sequencing could result in a diagnosis that has no treatment. Palliative care support is available in those cases. Originally published in the Winter 2018 edition of Healthy Kids Magazine.